Discover Our Secret Self Defense Short-Cut. You don't need years in a Dojo to protect yourself. All you need is the right training and equipment. We've put it all together for you in one easy package. No matter who you are, confidence is within your reach! We've trimmed the fat to give you what you need to know and not an ounce more. A step by step approach anyone can master. Just grab a friend and some couch cushions. Practice where you're comfortable, not around sweaty strangers. Who Needs the Hassle of Meditating Under a Waterfall? Learn where you're comfortable. Got some like-minded friends or family? Bring them along and practice together! No matter how strong or fast you are, there is always a chance you might be up against someone stronger or faster. But that's easily fixed. 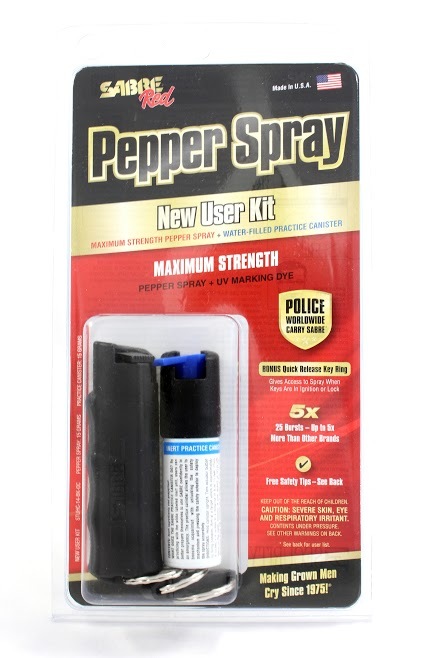 We recommend that everyone carry pepper spray with them at all times, and we'll teach you how and when to use it! Our pepper spray of choice is the Sabre New User Kit, which also comes with a practice canister so you can safely try it out at home and be confident in your abilities. Roy's passion is that everybody has access to training which immediately and truly gives them power, comfort, and confidence. 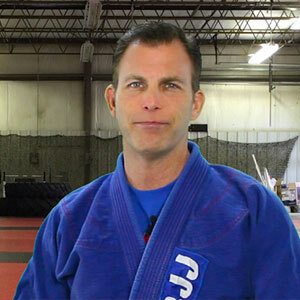 When Roy first began learning self-defense, it quickly translated into a sense of comfort. Maybe you've considered attending a Dojo or martial arts class before but never took the plunge. The inconvenience of traditional training at a gym or studio is real: embarrassment, rigid schedules, and getting lost in a crowd are all strong possibilities. With Practical Self Defense, these have all been taken out of the equation. We're excited along with Roy to give you the tools you need to find your own freedom from anxiety! We like to have fun, but we take your safety seriously. You don't have to be the victim, starting right now. Make Me Ready For Anything for only $129.99 $89.99 USD. How effective can this self defense course be if it's all online? Great question! This course is not designed to simply show you some videos and say you're done. To truly master these techniques you will need to practice them yourself! We show you how to practice these techniques very easily and at little or no cost. None! Training equipment can certainly help you practice more effectively if you prefer it, but everyday items you already have around the house can do the trick just fine. Again, no additional equipment is necessary. But if you are set on purchasing some equipment, we recommend standard Thai practice pads and punching mitts. Is any prior training required? Not in the slightest. We designed this training from the ground-up with newcomers in mind. If you've never taken a self defense course before or would like to augment your current training, you're in the right place. As long as you want! Once you master the moves, you can come back and refresh yourself on your training as often as you like, on us.